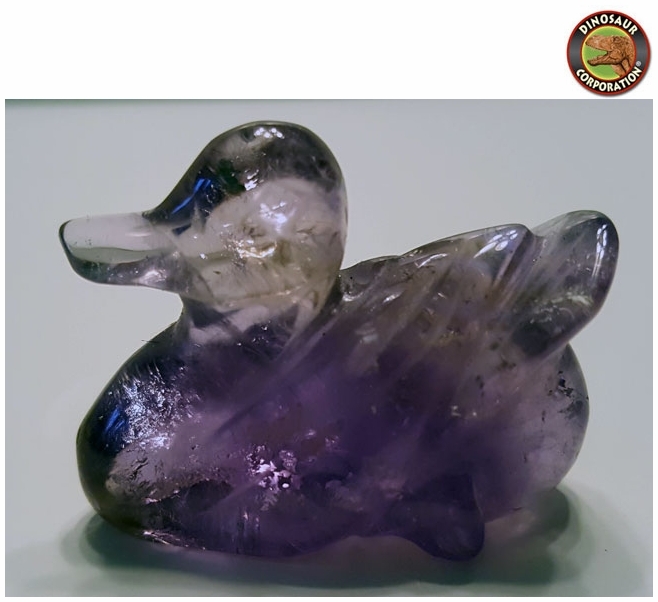 Duck Figure is hand carved from gemstone-Amethyst. 1.25 inch. Wisdom Stone. The amethyst is known as the Bishop's Stone and is still worn by Catholic Bishops. The amethyst symbolizes piety, humility, sincerity and spiritual wisdom. It is thought the amethyst is the perfect stone to symbolize The Age of Aquarius.